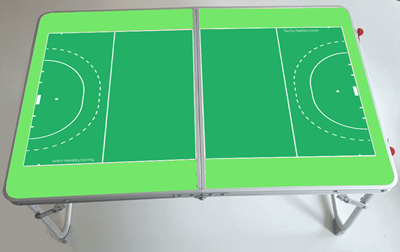 Lightweight Hockey tactictable, 64 x 42 cm that folds in 2 so can easilly be carried to games or tournaments. When set up height is 30 cm. 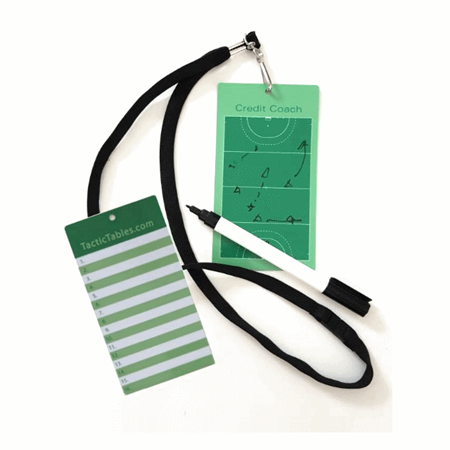 A handy, lightweight coaching tool for Fieldhockey trainers and coaches.